A summer bloomer, tansy ragwort can be anywhere from one to six feet tall. Ingesting this biennial weed can cause irreparable liver damage. Weeds are not altogether undesirable plants. “Heresy!” you might say, but the term “weed” is an arbitrary designation made by a gardener who would prefer to grow another plant instead. To some people, a foxglove is a gift in an otherwise bare bed, and to others, an interloper whose poisonous leaves beckon to a pup with a penchant for eating plants. Weeds can fill an ecological niche by providing food and nectar for beneficial insects and wildlife. Plants that have the ability to seed in quantity and grow quickly can ease erosion in cleared areas following natural or man-made disturbances. If you pay attention, the prevalence of weed species in particular areas can tell you a lot about the soil — its strengths and deficiencies. Many species considered weeds are instrumental in making inhospitable soils suitable for more plants. What makes a weed? Often it’s simply location. Even a tomato volunteer in a row of carrots, where it will shade the finely rooted seedlings and compete for water and nutrients, is a weed. 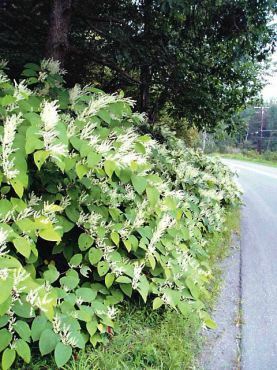 But plants that are allergenic, poisonous to livestock, refuge for diseases or pests, choke native plants or exhibit aggressive tendencies are considered weeds. Annual Herb-Robert, or “stinky Bob,” has a skunk-like odor, attractive pink flowers and spreads quickly by seed in shady areas. Yet, not all weeds require control, and even fewer require total eradication. A vegetable bed, a newly planted perennial bed or ground-cover are areas of the landscape where careful weeding is a priority. Other areas, such as a lawn or hedgerow, may require less detailing if the weeds in question are not spreading aggressively and are not detrimental to preferred plants. Often a weed goes unnoticed until it’s colonized a whole patch. In such situations, you must develop a strategy before waging war. Just as you learn the needs of cultivated plants in order to best grow them, you must understand the requirements of weeds to manage them. The first step in suppressing weeds is proper identification. Control techniques will differ based on the weed’s biology, as what works for eliminating one weed may exacerbate another. 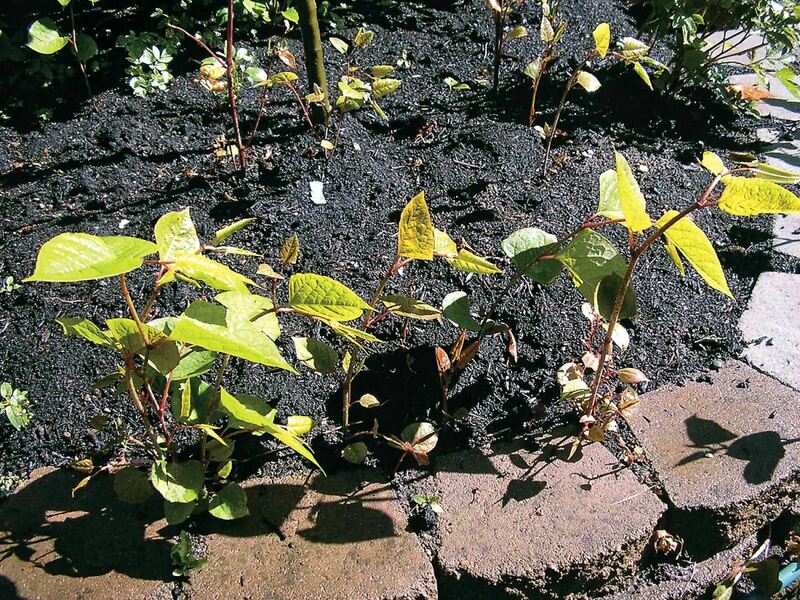 Small seedlings of knotweed advance on a flower bed. Note the hollow, reddish canes that resemble bamboo and leaves shaped like elongated hearts. The Internet is the fastest bet for identifying weeds. Since some species look confusingly alike, take a photograph to use as reference and concentrate on regional websites. Knowing bloom time and seasonal prevalence will help narrow down identification. A surefire way to get correct identification for any plant is the WSU Extension office in Bremerton. Take the entire plant, root and all, in a ziplock bag to the office and the extension’s experts will accurately identify it and recommend control tactics. Weeds are of three classes: annuals, perennials and biennials, and control techniques are determined by this characteristic. 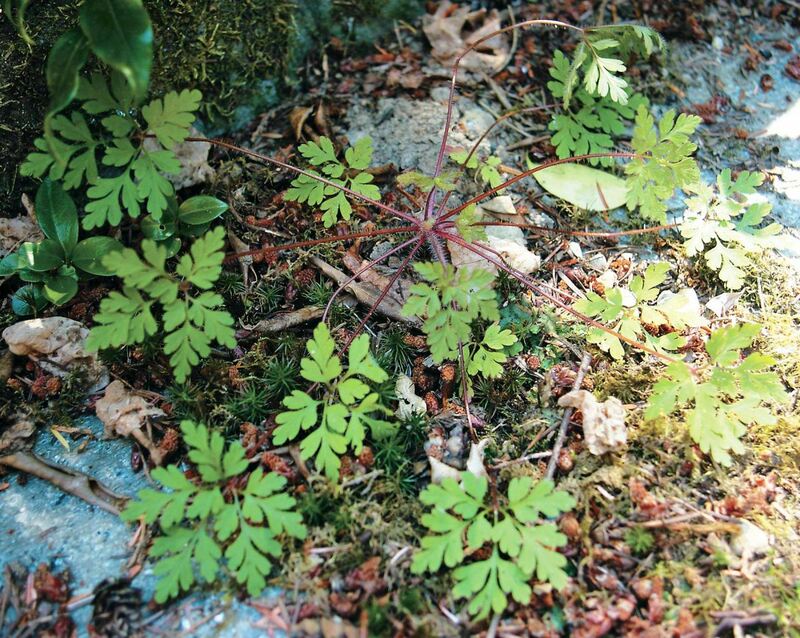 Most garden weeds are annuals — those that live less than a single year and sometimes for a few short weeks. They reproduce only by copious seed; some examples of annuals are shot weed, annual bluegrass and herb-Robert. 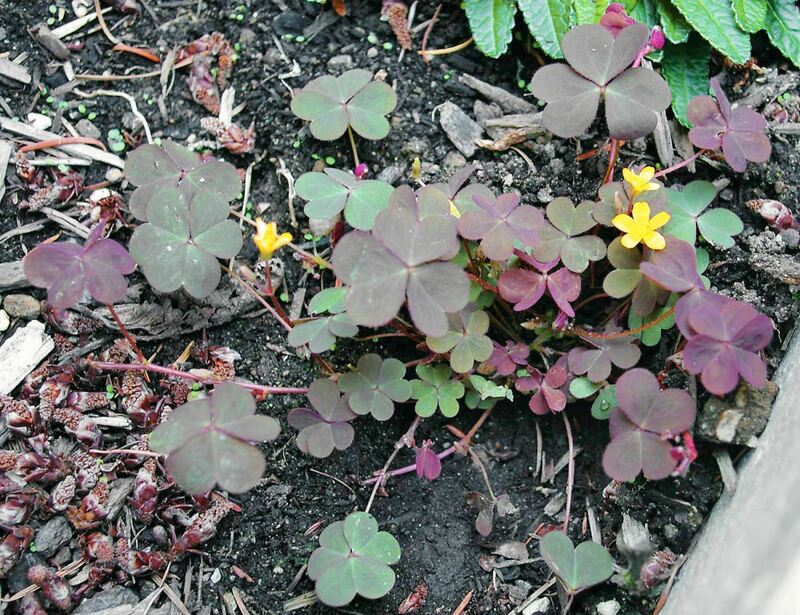 Red oxalis or wood sorrel is a low-growing perennial weed with slender taproot, roots from above ground “runners” and ejects seeds as far as 10 feet from pointy, hairy pods. Perennials live three or more years and spread by seed and vegetatively. Capable of expanding underground via nodes, stems and durable roots, perennial weeds can be the most difficult to control. Many times even a portion of root or stem can become a new plant. Perennials can be herbaceous like dandelion, creeping buttercup and red sorrel, or woody like Himalayan blackberry, Scotch broom and English ivy. Biennials live for two years, the first of which is spent producing roots and leaves and the second, producing seeds before death. Foxgloves, tansy ragwort and mullein are biennials. 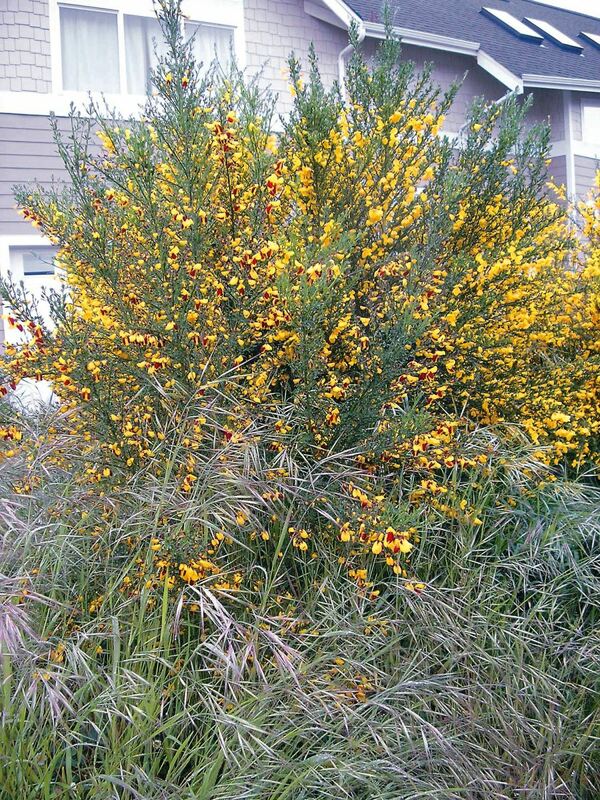 Perennial and woody, Scotch broom was first introduced to our area as an ornamental shrub. A “weed wrench” can be borrowed from the Kitsap County Noxious Weed Program for removing large plants, root and all. Prevention is the most important part of weed control and the No. 1 way to prevent weeds from spreading, regardless of their classification, is to prevent them from setting seeds in the first place. 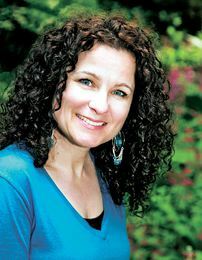 For ways to design and maintain the garden to make it less appealing for weeds, see “The New Green Thumb: An Introduction to Natural Garden Care” in the Winter 2010 issue of WestSound Home & Garden. Whether in a garden overtaken by weeds or in one well-cared for, always address weeds currently blooming first in order to catch them before they seed. The same goes for grass weeds and their “flower,” called an inflorescence. Once the flowering weed is identified, knowing whether it is perennial, annual or biennial will help with its suppression. Knotweed, a tall perennial, spreads by seeds, roots and rhizomes that can span 30 feet. Cut pieces of stem as little as an inch long can re-root. Let’s say the weed invading an evergreen groundcover is hairy vetch, with a vine-like habit and pretty, purple-red flowers. Hairy vetch is an annual that reproduces only from seed. Once the plant is removed, the roots will not regrow; therefore, pulling the plants before flowering is the best approach. Since the seeds of hairy vetch remain dormant a long time in the soil, it may take a few seasons of consistent hand weeding for the groundcover to be vetch-free. Many annual weeds are easily restrained by lightly hoeing, which chops the tops free from the roots just below the soil surface. If annuals are yanked before they bloom, they can be added to the compost pile with no risk of re-rooting or re-seeding. If dealing with a biennial in its first year of growth, the process is similar to annuals. 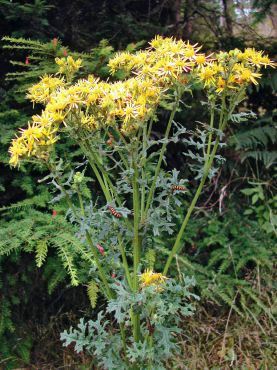 In the second year, however, approaching the plant as a perennial is recommended so the plant does not respond defensively by sending out additional shoots from the now well-established root. Shotweed is an annual seen in the winter and in other seasons in cool, moist soil. Its common name reflects an ability to shoot seed from elongate, slender pods explosively when ripened. Tiny white flowers appear on stalks from the center of the rosette of leaves. Since perennials can reproduce via seed and other plant parts, they can be challenging to dislodge. 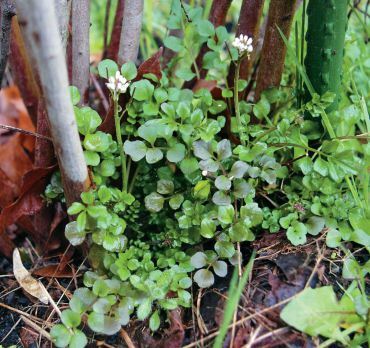 Get to know what the worst perennial weeds in your area look as seedlings so that they can be tackled in this young, vulnerable stage by hand digging. Seedlings are easier to remove, root and all, or treat with carefully applied and specifically labeled herbicides because of their still tender leaves and shoots. 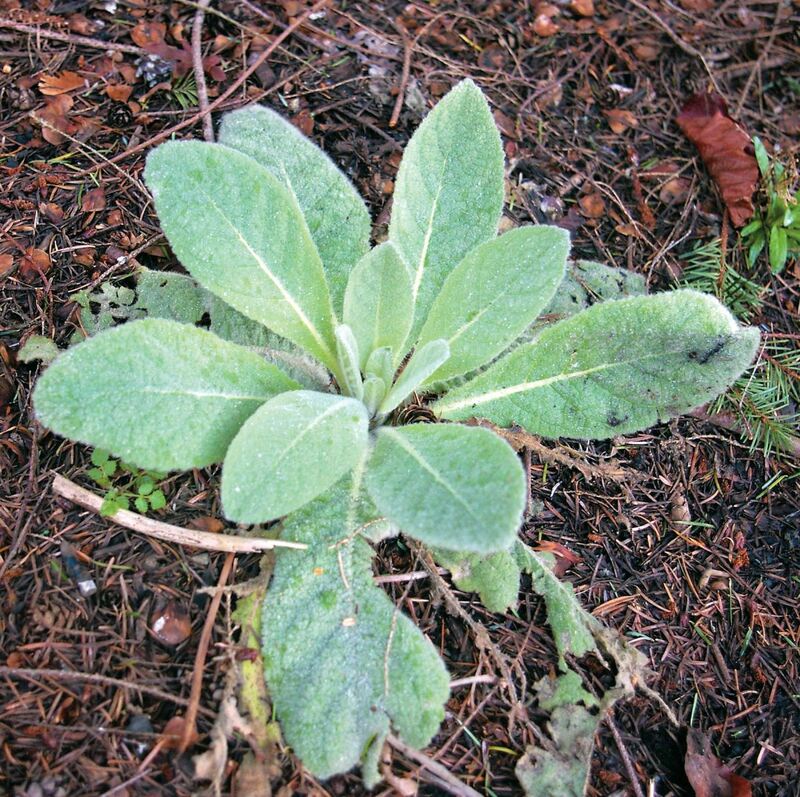 Common mullein, with its fuzzy, silvery leaves, remains a low rosette its first year, then sends up a tall, woody bloom stalk with yellow flowers its second year. Its life cycle makes it a biennial weed. 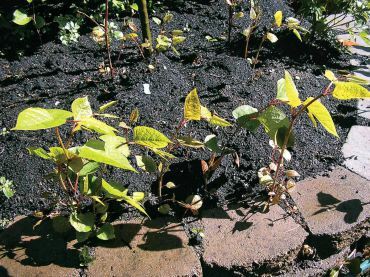 Once on top of new seedling weeds, established stands of perennial weeds can be gradually attacked with a variety of techniques. While keeping plants from blooming, their extensive roots can be exhausted by a combination of starvation, physical removal and/or appropriately timed chemical treatments to eventually kill the plant. Sometimes this requires a few seasons of dedicated work, depending on how tough the plant is. If a perennial is unable to generate enough food from photosynthesis over a long enough time, the roots will starve. Unfortunately “a long enough time” for some noxious weeds can stretch into years. Persevere. A year or two of mowing down a large patch of Himalayan and evergreen blackberry shoots to the ground two to three times during the growing season should weaken roots enough to kill them. Allow them to expend a lot of energy getting ready to flower, then mow them and repeat when they are a foot-high again. Digging out the last few robust rootballs should finish them off. Mowing some perennial weeds simply causes them to grow lower, as is the case with Scotch broom, or causes them to spread laterally in the soil, like dandelions and tansy ragwort, or the cut pieces to root into new plants, as with the knotweeds. Be on the safe side and avoid putting perennial weeds on the home compost pile. Nettles and oxalis, also called wood sorrel, can go in the yard waste recycling bin or trash, while noxious thugs like knotweed need special disposal. Get to know the list of your area’s “least wanted” as a prevention matter, and by all means, consult your county weed coordinator for control and disposal methods for any noxious weeds you have on your property. Having earned their designation for good reason, and often impervious to herbicide treatment, each requires a carefully tailored approach to tame. If something pops up in your yard that is unfamiliar, even if it’s attractive, identify it before it has time to make itself comfortable. “I didn’t know what it was at first” won’t make you feel any better once it takes over the back-40. Washington State University Extension — Kitsap County Norm Dicks Building, 345 Sixth Street, Suite 550, Bremerton (360-337-7157). Kitsap County Noxious Weed Program (360-307-4242) Website features information and links for identifying and controlling a number of challenging weed species. “Pacific Northwest Weed Management Handbook,” Advance-level information on weed control. “Weeds of the West,” 9th edition, by Tom Whitson, 2006. Western Society of Weed Science and Cooperative Extension of the United States and University of Wyoming. “Northwest Weeds: The Ugly and Beautiful Villains of Fields, Gardens, and Roadsides,” by Ronald Taylor, 1990. Mountain Press Publishing Co.